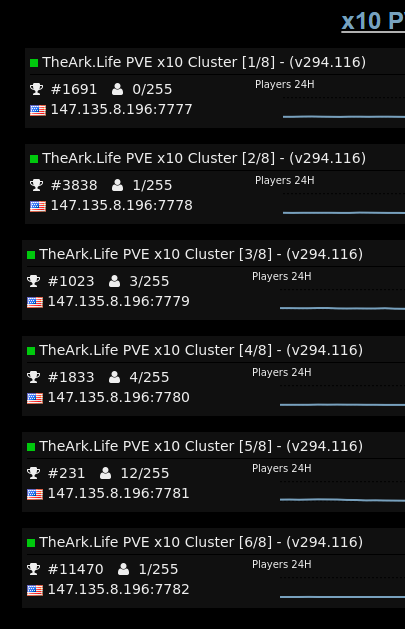 Now works on as many servers as you have ! Pretty nice work ! Had a little issue by getting unkown error but get it to work now ! Why is everyone starting to charge so much for plugins? Quality comes at a price! And youre making money from it! This doesn't offer much more than the RCON bots already available that are free. Instant proof you have no idea what you're talking about. Its OK... mommy will say more and more as you get older! Don't mind smooreace, he runs empty servers. @woolypenguin any chance of a discount if I order a few copies? Just my main issue with this is the price. Like I was saying, 45 Euro is A LOT to charge for something that does not make me money (not sure where that point was pulled from) and that is already available for free. Don't get me wrong, this seems like a nice plugin and might display a bit cleaner, but you know, free vs not free. Are you EVER going to grow up? Like your joke is populated! That's funny, you're telling me to grow up? You are sitting there talking down to everyone in every forum. Yep And youre???? Lower than I am! Both in Rank and % of population. And everybody? Just little pathetic fools like yourself. Keep up! English is pretty simple! First of all here's the link to the actual cluster rank for Atlas. Second, if we're all done measuring e-peens here, please stay on topic, stop being so toxic and provide something constructive. You might want to direct that at the pathetic POS that only showed up to spout off! And... follow your lead! I will be purchasing a few copies of this for my servers and long with a copy for my Ark servers. @JesterSuave The only problem I see with the RCON based cross server chat is that the rcon connection is really unreliable when ever I used them. It disconnects often for me and sometimes it just stops connecting. I think a plugin that is directly running on the server, connected to a single database is faster and will work far better. I will be setting this up whenever penguin is available to enable my hwid.